I doubt that Israel will acknowledge the AG but even if it did, it lost the moral value and no one will care either way. YEREVAN, MAY 18, ARMENPRESS. Bringing the issue of the recognition of the Armenian Genocide to the agenda of the Knesset (Israeli Parliament) is a political step against Turkey, Noyemi Nalbandian – member of the Armenian National Committee of Jerusalem, told ARMENPRESS, stating that the Armenian community is not excited in this regard. “The relations between Israel and Turkey have escalated recently in connection with the ongoing events in Gaza. As Turkey opposes Israel’s actions and strictly criticizes them, Israel, as a political step, put into circulation the bill on recognition of the Armenian Genocide. This doesn’t make us happy, the issue of the Armenian Genocide has become a playing card, we want for the Genocide to be recognized since Turkey has committed a crime against humanity, we oppose that this issue is brought to agenda for this or that political interest”, Noyemi Nalbandian said, reminding that three months ago one of the Knesset lawmakers brought this issue to the parliament’s agenda, but it didn’t pass. She couldn’t say for sure when the Armenian Genocide recognition issue will be put up to voting at the parliament, adding that it can be on any day depending on the development of the political situation. “At the moment it’s even difficult to say what kind of result can be expected from the voting since various signals are coming from the MPs and the government. The Israeli president said that in connection with the political issue the relations with Turkey have deteriorated, but they continue working in economic and other sectors. Therefore, at this stage we cannot say whether the issue will be adopted or not. In any case the government has a great influence, if it wants, it can contribute to the issue to be passed”, Noyemi Nalbandian said. Several dozens of people have been killed in clashes between Palestinians and Israeli troops in Gaza. The clashes launched on the opening day of the US Embassy in Jerusalem. The Embassy was moved from Tel Aviv to Jerusalem by US President Donald Trump’s decision. The Turkish authorities called on the international community to strictly criticize the Israeli actions in Palestine. Earlier the Turkish foreign ministry urged the Israeli Ambassador to leave the country, after which the Ambassador left Ankara. In the background of tense relations between Turkey and Israel, the issue of adopting an Armenian Genocide recognition bill has again appeared in the Knesset agenda. MPs Itzik Shmuly and Amir Ohan said that they will submit a bill recognizing the massacre of nearly 1.5 million Armenians in the Ottoman Empire as genocide. The lawmakers stated that time has come for Israel to recognize the Armenian Genocide committed by Turks. A debate has long raged over whether to classify the mass murder of Armenians at the hands of the Turks during the First World War as a genocide; that is, whether Ottoman authorities set out to systematically eliminate the Armenian population. One thing is, however, for certain: namely, that a staggering 1.5 million Armenians, most of them Ottoman citizens, were massacred. By 1914, the Ottoman leadership started a propaganda campaign presenting Armenians living in the Empire as a threat to security. The starting date of the period of mass killings is conventionally considered April 24, 1915, when an estimated 250 Armenian community leaders and intellectuals were arrested and deported (the majority of whom were later murdered) from Constantinople (today Istanbul) to Ankara and its environs. The killings took place in two stages; the first, targeting males and army conscripts, followed by women, children and the elderly and infirm being sent on death marches leading to the Syrian Desert. What began as a discussion of historical facts has morphed into a heated dispute replete with major political ramifications. For years, Turkey has placed immense pressure on foreign governments to not recognize the killings as a genocide. Israel, which openly advocates for global Holocaust remembrance and education, is one of over 160 countries that have to date refrained from formally characterizing the event. But as Israel’s relations with Ankara further deteriorate—the latest point of contention being last week’s killing of Palestinians during chaotic Gaza Strip protests—two members of the Israeli parliament have advanced legislation that would officially recognize the genocide. By contrast, Father Koryoun Baghdasaryan, Chancellor of the Armenian Patriarchate of Jerusalem, believes that any decision to recognize the genocide should be made exclusively on moral grounds. “We are not glad that [the matter] has become a political game and that it has become a tool to threaten [Turkey],” he told The Media Line. Israeli officials have long been divided on the matter. Notably, in 2001, then-foreign minister Shimon Peres said that denoting the killings as a genocide was “meaningless.” In Baghdasaryan estimation, Peres and those of similar mind are motivated less by political considerations than by a desire to uphold the uniqueness of the Holocaust. Knesset approves motion seeking to hold discussion on recognition of Armenian genocide. Government chooses not to respond to proposal. The Knesset on Wednesday discussed a motion for the agenda on "Recognition of the Armenian Genocide," submitted by MK Tamar Zandberg (Meretz), who asked to bring the matter to the Knesset for discussion. The proposal won a majority of 16 supporters, no opponents. "I have heard elected officials and public figures openly talking about the fact that the recognition of the Armenian genocide is an ‘appropriate Zionist response’ to Turkey's behavior after the recent events on the Gaza border. I really have a hard time understanding this position: Since when does Ankara pull our moral strings? Does history change according the nature of relations with a leader like Erdogan?” Edelstein added. "I do not deal with comparisons, and I think it's right not to use the term 'Holocaust' when dealing with the Armenian genocide, but just think how we would feel if the reactions to the Holocaust were also weighed on diplomatic scales: ‘Is it worth recognizing or not? Is it convenient for us at the moment or not?’ We would shout [in protest]. The Knesset should recognize the Armenian genocide because it is the right thing to do, because that is the just thing, and I hope that we will eventually also do it." "It is precisely because of the fate of the Jewish people that it is our historic and moral duty to be the first to do [recognize the Armenian genocide]. Who knows better than we how it feels when big powers know about the atrocity and stand by. Exactly for this reason we call every year ‘Never Again.’ Recently, MKs from all factions of the house have announced that they would promote a bill to recognize the Armenian genocide. I will support the proposal, but today we have a chance to make history, so I ask that the matter not be transferred to the committee and buried, but rather to vote in favor of holding a debate in the Knesset. That would be a very significant step in the moral message that the State of Israel sends to the entire world, "Zandberg said. The government chose not to respond to the motion for the agenda. The Israeli government informed the Knesset on Wednesday that it will not submit a response to a motion to hold a debate at the Knesset on recognizing the Armenian genocide. The government in the past objected to hold such debates at the Knesset, Haaretz reports. Meretz chairwoman Tamar Zandberg plans to submit a motion to the plenum Wednesday to hold a debate on recognizing the Armenian genocide at the hands of the Ottoman government early last century. Meretz had submitted similar resolutions in recent years that were subsequently debated in the Knesset Education Committee. This time she plans to submit the motion to the entire Knesset and insist that the full Knesset debate it, rather than one of the committees. The lawmakers will be asked to support or oppose her request. Israeli lawmakers on the right are finally set to recognize the "Armenian Holocaust" — but perhaps just to spite Turkish President Recep Tayyip Erdogan and score points with their bases. As long as I can remember, I've known that there was only one unique Holocaust in the history of humankind. We learned that the Armenians had suffered a “genocide” and that “a people’s massacre” had been perpetrated in Rwanda. We learned that Israel’s Arab citizens experienced a catastrophe, known in Arabic as the “Nakba,” when the state was established 70 years ago and they were uprooted from their homes. We were told that the use of the term “Shoah,” Hebrew for “Holocaust,” to characterize atrocities committed after World War II does a moral and historic injustice to the 6 million Jews exterminated by the Nazis. However, a sea change has now occurred, and senior elected officials have ceded the Jewish monopoly over the Holocaust. On May 16, Education Minister Naftali Bennett used “Shoah” in calling on Knesset Speaker Yuli Edelstein to “promote Israeli recognition of the holocaust against the Armenians carried out by Turkey.” Last month, Public Security Minister Gilad Erdan of the Likud used the same term in urging Prime Minister Benjamin Netanyahu to recognize the "Armenian Holocaust." Knesset member Amir Ohana, also of the Likud, drew a direct line between Nazi crimes and the massacre of an estimated 1.5 million Armenian people by Ottoman forces during World War I. “When Hitler presented the Wehrmacht officers with his plan for mass extermination,” Ohana wrote on Facebook, “he reassured those worried about the reaction of the world by saying: ‘After all, who mentions the extermination of the Armenian people anymore?’" He added, “If for no other reason, that is why we should have already recognized this murder officially.” An original and winning argument? Not really. A quick glance through the Knesset minutes from February reveals that Yair Lapid, chair of the Yesh Atid opposition party, presented this argument virtually word for word three months ago to present proposed legislation recognizing the Armenian genocide. “The question facing the Knesset today is not a practical one, it is not a foreign relations issue, it is a fundamental moral issue,” Lapid said. “Can we as Jews ignore a holocaust?” Himself the son of a Holocaust survivor, the late Knesset member Yosef Lapid, he added that the State of Israel could not afford to ignore the genocide of another people, the murder of its children, women and elderly. “It is not moral, it is not just and we have a commitment,” Lapid concluded. And how did his fellow Knesset colleague Ohana vote? Like the 15 other Likud members who bothered turning up for the debate, he voted “nay.” So did the Knesset members of Bennett’s HaBayit HaYehudi. Their leader, along with the Likud’s Erdan, skipped the vote altogether. Deputy Minister Michael Oren, who said during a 2015 Knesset debate, “It’s time for us as a state to recognize the massacre of the Armenians and do it justice and close the circle,” also voted against the proposed bill. So did all the members of his center-right Kulanu. The Knesset voted down the proposal to recognize the Armenian genocide by 41 to 28. It is unclear yet whether the verbal clash between Netanyahu and Turkish President Recep Tayyip Erdogan over the killing of Palestinians during violent demonstrations along the Gaza-Israel border changed the “situation” to such an extent that the government is at long last heeding calls for recognition of the Armenian genocide. But if it does so, the world in general and the Armenians in particular will see through the claims of morality and conscience and recognize the move for what it is: taking cynical advantage of a genocide to exact diplomatic retribution and score PR points. It's true that joining the 29 other states, among them 11 members of the European Union, that have recognized the genocide would undermine the prospects of eventual reconciliation with Erdogan’s regime. To resolve its previous contretemps with Turkey over the 2010 Mavi Marmara flotilla that sought to breach the Israeli siege of Gaza, Israel relented and paid compensation to Turkish victims of its commando raid on the vessel. It will not be able to go back on its recognition of the Armenian genocide. Such decisions cannot be made in the heat of the moment, nor as public relations ploys. The Talmud had this to say about such situations: “Woe unto me from my creator and woe unto me from my inclination." Knesset member Yair Tzaban (Meretz), who first proposed recognition of the Armenian genocide some 30 years ago, told Al-Monitor that such a move now would raise an issue of Jewish law that questions the value of a good deed born in sin. Tzaban suggests instead adopting the approach of conscientious Israelis who take a stand on each issue on its merits rather than conducting moralistic scorekeeping. The opportunity now emerging for Israeli recognition of the genocide, he advised, should not be missed. Turkish criticism of the current right-wing Israeli government, harsh as it may be, “will not turn me into a fan of Erdogan and his dark and oppressive regime, which have inflicted deep scars on the bodies and souls of Turkish, Kurdish and Armenian freedom fighters and lovers of democracy,” Tzaban said. At the same time, he added, no condemnation of Erdogan and of Hamas rulers of Gaza will blunt his harsh criticism of Netanyahu and Co. for leading Israel on a dangerous road that stifles the Jewish people’s hopes of national revival and of peace. While the diplomatic crisis with Turkey churns onward, the Knesset decided on Wednesday to put recognition of the Armenian Genocide to a vote for the first time. Until now, Israel has avoiding taking a formal stand on the question of whether the massacre of an estimated 1.5 million Armenians by Turkish forces in World War I should be classified as genocide. Turkey has made its sensitivities about the matter known — that it rejects the allegation — and Israeli officials have put relations with Turkey above the questions of history and morality. The motion passed 16-10 in a mostly empty plenum. A vote on the recognition itself will probably take place next Tuesday, according to Zandberg’s office. Zandberg and Knesset Speaker Yuli Edelstein, who supports the move, sought to dispel the impression that the bill was introduced in retaliation for Turkey’s hostile actions in recent days, including expulsion of the Israeli ambassador, calling for an investigation of the Gaza bloodshed and threatening a boycott of Israeli goods. At the same time, Edelstein said he is “embarrassed to hear elected and public officials talking about the recognition of the genocide as an appropriate Zionist response to Turkey’s despicable acts after recent events on the Gaza border. “Since when does Ankara pull the strings on our morality? Does history change according to our relations with a ruler like Erdogan?” Edelstein asked. Zandberg refuted the link to the current tensions with Ankara, noting that she submitted the motion before they started, and that Meretz has done so on the closest possible date to Armenian Genocide Remembrance Day, on April 24th, each year since 1989. Among the 29 countries that have officially recognized the Armenian Genocide are Canada, France, Germany, Russia, Lebanon and Syria. Let's see if all the talk about moral thing to do will lead to recognition or it will end the same way it did before! Israel we are watching you. Lawmakers across the political spectrum called on the government not to heed Turkey’s threats to Israel over the possibility that the Knesset will recognize the Armenian Genocide. The comment came two days after the Knesset voted to add a motion to the agenda to discuss recognizing the Armenian Genocide during World War I, in which the Ottoman Empire killed an estimated 1.5 million Armenians. The Knesset is expected to vote on recognition on Tuesday. In addition, Shmuly and Likud MK Amir Ohana submitted a bill to a similar effect. Contrary to Aksoy’s statement, the major proponents of recognition in the Knesset did not use the term “holocaust” in their related speeches and legislation; they called it a “genocide,” instead. Ohana accused Turkey’s Foreign Ministry of “cynically and transparently using the word Holocaust to try to cheapen the severity and uniqueness of the Holocaust of the Jewish people." Knesset Speaker Yuli Edelstein released a clarification after Wednesday’s vote that he does not use the word “holocaust” to describe the Armenian Genocide, and does not think comparing the two are appropriate. “Recognizing the genocide is the moral and basic thing and cannot be dependent on politics. There are things that are above politics, and this is one of them,” she said. Ohana told Turkey to “stop the hysterics,” pointing out that 29 countries have already recognized the Armenian Genocide, and saying Turkey should take responsibility for what it did. The move to recognize the Armenian Genocide comes at a time of heightened tensions between Israel and Turkey, after Ankara withdrew its ambassador from Israel to protest the IDF’s response to violent riots on the Gaza border, and Jerusalem then recalled its ambassador to Turkey. Zandberg and Edelstein both said on Wednesday that they do not think recognition should depend on Turkey-Israel relations. Zandberg proposed her motion before the latest diplomatic row, and Meretz has proposed a similar motion annually since 1989. Israel once and for all have the Chutzpah and tell Turkey to go to hell! No date has been fixed for the debate. Armenians have long sought international recognition for the 1915-1917 killings in the Ottoman era as genocide, which they say left some 1.5 million of their people dead. Turkey — the Ottoman Empire’s successor state — strongly rejects that the massacres, imprisonment and forced deportation of Armenians from 1915 amounted to a genocide. “The events of 1915 are not a political issue but historical and legal,” Aksoy said, without commenting further. The recognition of the Armenian genocide is raised every year in the Knesset, usually in the form of proposed legislation rather than a call for a debate, and has been knocked down by sitting governments annually since 1989. Israel’s refusal thus far to formally recognize the Armenian slaughter as genocide is based on geopolitical and strategic considerations, primary among them its relations with Turkey. The United States has similarly avoided recognition of the mass killings over fears of angering Turkey. Wednesday’s debate came as relations between Israel and Turkey soured dramatically in the aftermath of clashes last week on the Israel-Gaza border in which dozens of Palestinians were killed, leading to a diplomatic spat that saw the ambassadors and consuls general of both countries expelled or withdrawn to their respective countries. 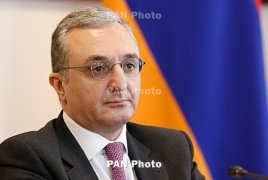 PanARMENIAN.Net - The issue of recognition of the Armenian Genocide by Israel is first and foremost their contribution to the prevention of genocides, Armenian Foreign Minister Zohrab Mnatsakanyan told reporters on Friday, May 25. “The issue concerns not only us, but the entire humanity, and is an important signal for the prevention of genocides,” Sputnik Armenia cited Mnatsakanyan as saying. Mnatsakanyan said the international recognition of the Genocide is a component of Armenia’s foreign policy. “You heard the Prime Minister reaffirming the importance of that objective,” he said. 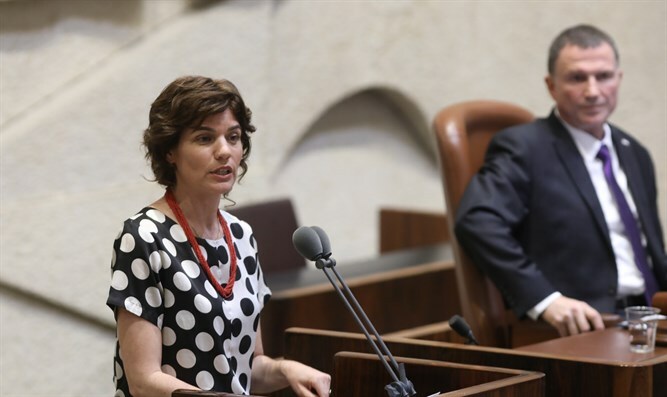 The Israeli Knesset will hold a vote on whether to recognize the Armenian Genocide, after approving Meretz chairwoman Tamar Zandberg’s motion to include the issue in the agenda. Zandberg’s office is aiming for Tuesday, May 29 as the date of the unprecedented vote. In 2015, the Knesset approved a motion for the agenda to discuss the Armenian Genocide, which resulted in the Education, Culture and Sport committee recognizing it. Zandberg’s motion is different in that it called for a discussion in the plenum, such that its vote represents the position of the entire Knesset. Only if the world paid little attention to Armenian Genocide and punished Turkey, the Holocaust would have been avoided! This is not an opinion but a fact. It's not too late Israel do the right thing it's long overdue. When Allied forces liberated the Bergen-Belsen concentration camp in 1945, even the horrors of World War II had not prepared the soldiers for what they saw. "They vomited, they fainted and they cried like children," said Olga Horak, then a prisoner who had survived Auschwitz and the death march to Bergen-Belsen. "We were already emaciated, skeletal figures. I was 29 kilos. I was together with my mum, who was only 39 years old." Ms Horak was with her mother the next day when the British gave her a card confirming her registration as a displaced person. "She held it in her hand and unfortunately she collapsed, and I lost her there and then." It is stories like Ms Horak's that confound Holocaust deniers, said Professor Colin Tatz, founding director of the Australian Institute for Holocaust and Genocide Studies. "It's the meticulous detail which has always upset the deniers because the deniers cannot undo the truth of Olga's illness, her weight, the death of her mother." But as more people with first-hand experience of the Holocaust die, there's a danger these details will fade from the world's collective memory. US-based organisation Genocide Watch maintains a list of countries where genocide is currently being committed. At the time of writing, it consists of Syria, Mynamar, Sudan, South Sudan, Nigeria, Somalia, Iraq, Yemen and the Central African Republic. But when it comes to knowing the past, Professor Tatz said for younger generations, "18 weeks ago is history", while 18 years ago is "sort of like the cave era for them". "You talk about the First World War, they look at you absolutely blankly. They have absolutely no conception," he said. "We live in an anti-historical or an ahistorical age. Nobody remembers anything, basically, unless they are constantly reminded." He said human beings have an "extraordinary capacity to obliterate memory" which he suspects is a kind of survival mechanism. "If you don't have to remember, if you force yourself to forget those episodes, it's possible to go on with life and pretend that there is not only a decent present but there's a decent future." But could this "wilful amnesia", as Professor Tatz calls it, allow humanity to repeat the atrocities of the past? Holocaust survivor George Grojnowski said it was unfortunate that people seemed to be forgetting the events of WWII. "Today we still have a rise of fascism right across [Europe], and that disturbs me as a survivor, that we have it in France, we have it in Poland, we have it in Germany, in Russia, in Romania, in Hungary. "That's why it is important for us as survivors, as long as we can, that we talk." There are, however, people who are inspired by the horrors of history, rather than repelled by them. Hitler was very aware of the Armenian Genocide committed by the Ottoman government during World War I, Professor Tatz said. An estimated 1.5 Armenians died as a result of Turkish policies during WWI - about three-quarters of the Armenian population. "One of the saddest things is that, when we look at the Holocaust and we look at Armenian history, there's very little that the Nazis invented," Professor Tatz said. He said the "mass factory-like extermination" of people in death camps was, indeed, a Nazi invention. "But death marches, elementary gas chambers, medical experimentations, rounding up of men, separation of women, special camps, all of this was invented by the Turks, not by the Nazis." Hitler is said to have referred to the Armenians while addressing his SS officers in 1939, while explaining his plans for what they would do in Poland and Czechoslovakia. "He outlines the program that Goering had actually alluded to in 1936 when he said, 'We will deal with the Jewish problems one way or another'." Upon hearing the details of Hitler's plans the SS officers are said to have asked, "How can you possibly do this in the 20th century? The world is watching". "And Hitler is said to have said, 'Who, after all, remembers the Armenians?'" Mr Grojnowski was liberated from the Nazis at 18 years of age while on a death march to Theresienstadt, and his striped jacket from Buchenwald concentration camp is held at the Sydney Jewish Museum. "I thought that I have to have something to remind me of where I was and what happened," he said. His strongest memory from his time under the Nazis is being transported in a cattle truck to Buchenwald. "A cattle truck would transport cattle. You don't need any facilities, you don't need any seats and you don't need any toilets. "So we were pushed in, 100, 120 [of us] into those cattle trucks, completely sealed up and travelling in winter from Poland to Germany." He also tells how, at his request, a German officer stopped he and his father from being separated. "I like to tell that story because, in the tragedy that human life didn't have any meaning, there was one human being that had enough humanity that he didn't want to split a father and son. "Unfortunately four months later my dad couldn't get up ... he was gone." Both Mr Grojnowski and Ms Horak were the only members of their families to survive the Holocaust, and both consider it important to tell their stories to a new generation. "I am not telling my story because I want you to be sorry for me," Mr Grojnowski said. "I'm telling you a story from a young boy that lost all the family and went through all the horrors of the war." Ms Horak said she considered it "a matter of duty ... to pass on a message to the generation of today who don't know enough about the Second World War". "Often, you know, people say maybe it's a good therapy to talk about it. It is not a good therapy at all. It does open up wounds." While her mother, father and sister did not survive the war, Ms Horak will never say they "died". "We didn't really 'die', we perished," Ms Horak said. "I never talk about dying. We were murdered, wilfully eliminated. That was the program." The hypocritical soap opera continuous. Knesset Speaker pulls Armenian Genocide recognition from Knesset agenda The vote on recognizing the Armenian Genocide, in which 1.5 million Armenians were murdered by the Ottoman Empire during World War I, was originally set for Tuesday. The expected vote on recognizing the Armenian Genocide was not on the Knesset’s agenda for this week as of Monday. Knesset Speaker Yuli Edelstein pulled the item from the agenda, his spokeswoman said, to avoid an embarrassment to the Knesset, because it was unclear there would be a majority in favor. Edelstein has repeatedly voiced his support for recognition over the years, including last week. The vote on recognizing the Armenian Genocide, in which 1.5 million Armenians were murdered by the Ottoman Empire during World War I, was set for Tuesday, after a motion to do so by Meretz chairwoman MK Tamar Zandberg was approved 16-0. Zandberg accused Edelstein of putting politics ahead of morality, dismissing the Knesset Speaker’s words in favor of her motion. 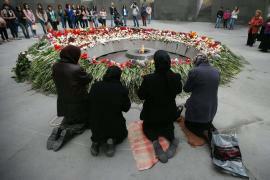 Recognizing the Armenian Genocide has the potential to anger Turkey and Azerbaijan. Tensions between Israel and Turkey are already high, with the countries withdrawing their ambassadors after Turkey supported Hamas when the terrorist organization tried to violently break through the Gaza border into Israel earlier this month. However, Israel and Azerbaijan have warm ties, and the latter’s proximity to Iran makes it a strategic ally, important to Israeli security. Azerbaijan is in an ongoing conflict with Armenia over the Nagorno-Karabakh region. Zandberg, however, said that should not be taken into consideration. The Foreign Ministry has not made any official statements about the Knesset recognizing the Armenian Genocide, including during last week’s vote, unlike in previous years, when it openly opposed such motions. However, a ministry source confirmed that ties with Azerbaijan are important, and pointed out that last week both Edelstein and Zandberg said the matter of recognizing the Armenian Genocide should be discussed on its own, and not as a way to get back at Turkey. Which is it? Waiting for so called majority or for ErDOGan to cave in? Either way the soap opera continues! On a second thought why lose the AG stick by recognition! Armenian Patriarch of Jerusalem, Archbishop Nourhan Manougian wrote a letter to the speaker of the Knesset Yuli Edelstein. He expressed feelings of deep disappointment over speaker’s decision to pull discussion on recognition of the Armenian Genocide from the agenda, in spite of his words last week in support of recognition. On Wednesday evening Edelstein wrote to the Armenian Patriarch of Jerusalem, Archbishop Nourhan Manougian, that he intends to bring the issue to a vote as soon as a majority is ensured. Knesset Speaker Yuli Edelstein withdrew the item from the agenda, his spokeswoman said, to avoid an embarrassment to the Knesset, because it was unclear there would be a majority in favor. Earlier Edelstein has repeatedly voiced his support for recognition over the years, including last week. We'll see! June 24 is not far away by than they will come with another excuse. The government has postponed the discussion of three bills to recognize the Armenian genocide by the Ottoman Empire, the forerunner of modern Turkey. The bills were scheduled to be debated by the Ministerial Committee for Legislation on Sunday, but it is not clear when they will voted on, said sources on the committee. Prime Minister Benjamin Netanyahu postponed the committee’s discussion of the proposed laws until after the Turkish general election scheduled for June 24, said officials. Israeli officials recommended not raising the issue of the Armenian genocide before the elections for parliament and president because it would serve Turkish President Recep Tayyip Erdogan in his reelection campaign and help him unite Turkey behind his party. Last week, Knesset Speaker Yuli Edelstein postponed a debate and vote on recognizing the Armenian genocide by the Ottoman Empire, the forerunner of modern Turkey, because a majority of the Knesset majority would not have voted to support the recognition. Two weeks ago, the Knesset approved a request by the left-wing Meretz party to hold a Knesset debate and a vote on the issue. Israel partially recognizes the Armenian genocide: The Knesset Education Committee has recognized it and debated bills on the issue, and the Knesset has been marking the Armenian genocide every year since 2012, but proposals of the sort are usually blocked because of the special relationship with Azerbaijan, which is involved in an ongoing military conflict with neighboring Armenia, as well as the effect it would have on Israel’s tense relations with Turkey. Over the past few weeks, Knesset members have been trying to outdo each other in coming up with ways to take revenge on the Turkish government for ordering the Israeli ambassador out of the country and recalling the Turkish ambassador in response to the deaths along the border fence with the Gaza Strip last month, as well as the move of the U.S. Embassy in Israel to Jerusalem. A Likud minister said over the past few days that the decision on recognizing the Armenian genocide must be made in isolation from the present conflict with Turkey. “We must conduct a principled discussion on the question of whether Israel needs to officially recognize the Armenian genocide. Such a step must not be taken as revenge against Erdogan’s statements,” said the minister. Two weeks ago, Education Minister Naftali Bennett, the chairman of Habayit Hayehudi, called for the recognition of the Armenian genocide and of the rights of the Kurdish minority in Syria. Bennett also announced he had formulated a comprehensive “plan of action” for the Knesset, the government and the public, which he shared on social networks. “I ask you, the public, to cancel your trips to Turkey. Immediately," he wrote. "Take your vacation in the Galilee and the Golan. You also have a role to play,” he added. In one of many such attempts, in February the Knesset voted down a bill to recognize the Armenian genocide sponsored by MK Yair Lapid (Yesh Atid). Two weeks, ago two MKs, Amir Ohana (Likud) and Itzik Shmuli (Zionist Union) submitted a similar bill, one of the three under consideration, and are seeking to push it through in expedited fashion in response to Erdogan’s actions and remarks. “Netanyahu and his ministers roar like lions but fall like flies every time Erdogan threatens,” said Shmuli. “The day on which the prime minister of the state of the Jewish people agrees to be a collaborator with the denial of the genocide of another people, who were slaughtered in concentration camps and on death marches, this is a black day and a deep moral stain on all of us. What would we have said if the world had refused to recognize the Holocaust because of diplomatic unpleasantness and economic interests? If we become partners in the denial of the tragedies in history we will never succeed in preventing those that may come in the future. I call on the government to set aside political considerations and do the necessary historic justice,” said Shmuli. Also known as the Armenian Holocaust, the genocide in question was the systematic killing of an estimated 1,500,000 Armenians by the Ottoman government during and after World War I. Most of those killed were citizens of the Ottoman Empire. Knesset will reportedly hold debates on the motion calling to recognize the Armenian Genocide, Arutz Sheva reported quoting Israeli Public Broadcasting Corporation. According to the Corporation, Knesset Speaker Yuli Edelstein intends to hold a vote next week on a motion by Meretz Chairwoman Tamar Zandberg. Approval of the resolution would be despite the position of the Foreign Ministry, which announced earlier this week that it opposes advancing the proposed law on the subject, the website says. The earlier reports suggested that Israeli PM and Foreign Minister Benjamin Netanyahu has accepted MFA’s recommendation to postpone a Knesset debate on a law recognizing Armenian Genocide, and until after the elections to be held in Turkey on June 24. Jews and Armenians have a lot in common in their grievances caused by historic persecution and genocides. However, two main impediments prevent a closer relationship. The Eastern Mediterranean region is not known for having the easiest of political situations. Two nations not typically focused on in tandem, but share similar struggles are the states of Armenia and Israel. From both experiencing genocides, to being minorities surrounded by what can be considered hostile neighbors, Armenia and Israel have similar backgrounds. Despite that, due to geopolitics, including Israel’s relationships with Azerbaijan and Turkey, relations between the two nations are not where they would be expected to be. Israel’s recent motion to recognize the Armenian Genocide (and the concurrent Assyrian and Greek Genocides) committed by Ottoman Turks and Kurds is commendable and certainly a great step in the right direction. Speaker of the Israeli Knesset, Yuli Edelstein, said that the issue of the recognition of the Armenian Genocide will be brought to a plenary voting when the Knesset secures a majority for recognition. “The Israeli Knesset must recognize the Armenian Genocide because it is the right and moral thing to do- and not because of political or momentary diplomatic interests…The moment we are convinced the Knesset will have a majority for recognition, we will bring it to a plenary voting,” he added. Israel’s lack of official recognition of the Armenian genocide and its ongoing support of Azerbaijan, which actively seeks the annihilation of Armenia, Artsakh (Nagorno Karabakh), and Armenians, has added to the lack of otherwise presumed cooperation between the two countries. Israel supplying weapons to Azerbaijan—a country that actively teaches that Armeniansare devils and deserving of death—while the Armenia-Azerbaijan conflict has no foreseeable conclusion, is a major point of contention for Armenians. The Nagorno Karabakh or Artsakh Republic is historically and demographically Armenian territory. In the face of continued Azeri persecution, Nagorno-Karabakh declared independence in 1991. Its constitution “recognizes the fundamental human rights and freedoms as inalienable and supreme value, for freedom, justice and peace.” Armenian officials have long been seeking a peaceful resolution for the Artsakh-Azerbaijan conflict while the Azeri military continuously targets Artsakh in an attempt to destroy it. Between April 1 and 5, 2016, for example, Azerbaijan launched a full-blown attack on multiple positions of Artsakh and targeted Armenian civilians indiscriminately. Casualties included the 12-year-old Armenian boy, Vaghinag Grigoryan, and elderly couple, Valera Khalapyan and his wife, Razmela, who were found shot in their homes with their ears cut off. Another resident, Marousya Khalapyan, born in 1924, was also murdered by the Azeri military. Azeri soldiers also beheaded the 20-year-old Yazidi soldier of the Armenian army, Kyaram Sloyan. Pictures of Azeri soldiers holding Sloyan´s decapitated head surfaced on first on social media and then the incident was covered by several news outlets. The Azerbaijani officer who decapitated Sloyan has become a national hero in Azerbaijan, after Azeri president, Ilham Aliyev awarded him a medal, once again demonstrating his annihilationist ideology against Armenians. Azerbaijan’s policies affect Armenia more than others, but Azerbaijan has caused problems for Maltese citizens using its oil and natural gas as leverage, has attempted to have French journalists arrested for reporting “negatively” on Azerbaijan, and a plethora of other such policies and conflicts from the autocratic state. For relations to improve tremendously between Armenia and Israel, the official recognition of the Armenian Genocide and halting the supply of weapons to Azerbaijan would certainly put the nations on the same path. The Jews and Armenians have a lot in common in their grievances caused by historic persecution and genocides they had suffered. According to the United States Holocaust Memorial Museum, during the 1915 Armenian Genocide, “US Ambassador to Constantinople Henry Morgenthau Sr. [who was a Jew] was deeply troubled by the atrocities committed against the Armenians and was among those who sought to rouse the world's conscience in response." Armenia currently does not recognize Palestine as an independent nation, while Israel continues to not recognize the Armenian Genocide and has not ceased its support of Azerbaijan. Among the rescuers of Jews during the Holocaust were Armenians— some of them motivated by the memory of the atrocities committed against them at the beginning of the 20th century. These acts of rescue took place where the Armenians fled subsequent to the genocide—Ukraine, Crimea, France, Hungary, and Austria, according to the Jewish “Yad Vashem” Museum-Institute. “Having witnessed the Armenian Genocide, we decided to save them,” a rescuer, Pran Tashchiyan, said. Another hero, Haroutyoun Khachatryan, a military physician during World War II, was posthumously awarded the “Righteous among the Nations Award” by the Yad Vashem. Armenians and Jews have another strong element in common—both nations are surrounded by people dedicated to their extermination. Today, Armenia and Artsakh are viciously attacked by Azerbaijan supported by Turkey. Moreover, Turkey not only denies the Armenian Genocide, but also punishes today’s citizens of Armenia by closing its border with the country. Similarly, Israel is continuously targeted by Hamas, Islamic jihadists, other terrorist organizations, and hostile states that do not recognize Israel’s existence or right to exist. However, that’s where things begin to snag. Armenia currently does not recognize Palestine as an independent nation, while Israel continues to not recognize the Armenian Genocide and has not ceased its support of Azerbaijan. This effectively puts the ball in Israel’s court to begin alleviating issues between Israel and Armenia—hopefully in a way that would make Ambassador Morgenthau proud. Benjamin Abtan is the Coordinator of the Elie Wiesel group of MEPs and European anti-racist association Egam , and Klarsfeld are hunters nazist i , who have dedicated their lives to bring to justice the "Hitler's Willing Executioners." Therefore their intervention for the victims of the Armenian Genocide is of great value . Their statement goes like this: " Israel must stop playing political games with the Armenian Genocide: it should ignore the noisy and repeated threats that Turkey launches against the states that recognize the Metz Yeghern.The Jewish State has a particular responsibility in opposing who denies genocide ". The Knesset decision was taken while the Parliament was under pressure from the Israeli government, Abtan and the Klarsfeld explain. Despite the official denialism of Turkey, the Armenian Genocide is an indisputable and historical reality . 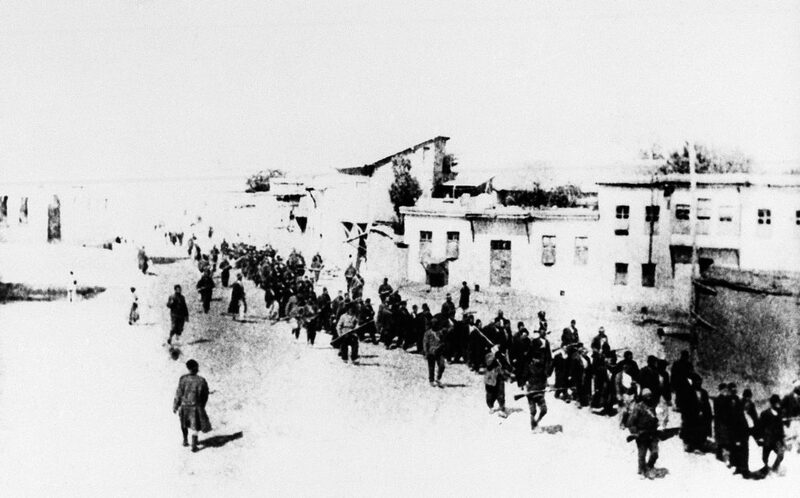 A raid against Armenian intellectuals on April 24, 1915 was followed by systematic and planned extermination by the state of 1.5 million people , killed because they were Armenians. These crimes took place under the supervision of the Union Committee and Progress, led by those who were in fact in command of the Ottoman Empire at the time: Talaat Pacha , Enver Pacha and Djemal Pacha ". "This mass murder was genocide : the truth - reads Haaretz's article - is recognized in all its immediacy by historians all over the world as well as brave Turkish activists and intellectuals, who have been commemorating the genocide for years, above all in Istanbul ". The writers of the appeal condemn "the geopolitical alliance between Turkey and Israel ," which "was a fundamental element that kept the latter from recognizing the Armenian Genocide". "Yet Israel - continues the article - should not worry about diplomatic threats against countries that dare to recognize genocide, for example despite the Turkish protests, the centenary of the genocide in 2015 was celebrated in many countries, and later international relations they are back to normal, perhaps chaotic, but based on well known interests and alliances ". "So, for example, despite Turkey recalling the ambassadors and threatening various countries, Germany has continued to work with Turkey and has also led the initiative of an agreement between the European countries and Ankara on refugees", continue the activists . And if it is true that in the end Turkey has never followed up on its threats, it is also important to remember that "the recognition by Israel - they say - is essential to prevent mass atrocities in the future ". This is even more true if we consider Zionism and the reception in Israel of Jewish refugees in different historical moments, including the Holocaust tragedy. "Often it is in vain to try to imagine how the story would have gone if the decisions had been different, but it is not absurd to think that if the international recognition and the denunciation of the Armenian Genocide had taken place in the right time, the genocide against the Jews, as well those against the Roma, the Tutsis of Rwanda and others, could have been avoided.This is why Israel has a special responsibility: Recognizing the Armenian genocide will not change the past, but will contribute to a different outcome to the future and help protect those who they are threatened with extermination, today and tomorrow " . We'll wait and see if they come up with another lame excuse, let's face it this threat is not working on Turkey do the right thing Israel! The Israeli Knesset is set to consider whether to recognize the Armenian Genocide, following the victory of President Recep Tayyip Erdogan in the latest Turkish elections. The possibility of such a vote by the full Knesset has arisen several times in the past, but never came to fruition out of fear of Turkey’s reaction. Turkey vehemently rejects the claim that the deaths of over a million Armenians in the early 20th century at the hands of the Ottoman Empire constituted an act of genocide. In the past, to preserve its relations with Turkey, Israel has repeatedly declined to officially recognize the Armenian Genocide, though Israeli officials have used softer language to refer to it as an act of mass murder. The last push for the Knesset to recognize the genocide was torpedoed by government of Israeli Prime Minister Benjamin Netanyahu over concern it would help Erdogan, who has been a ferocious critic of Israel and uses the issue to whip up support among Turkish voters. With Erdogan’s decisive victory on Sunday, this obstacle appears to have been removed. Meretz leadr Tamar Zindberg, who introduced the recognition bill, expressed optimism that the bill would pass. “We expect support from all factions of the house and especially those who pledged their support,” she said. There you have it, didn't take long. I wonder what does Turkey has on Israel that makes them scared! The Meretz Party decided Monday to withdraw their proposal for the Knesset to recognize the Armenian genocide due to the coalition's decision not to support the motion. The coalition intends to advance a similar bill avoiding the term "genocide" and calling the 1915 events a "tragedy." PanARMENIAN.Net - The Meretz Party reportedly decided Monday, June 25 to withdraw a proposal submitted to the Knesset seeking the recognition of the Armenian Genocide. According to Ynetnews, the move comes due to lack of support from the coalition. The coalition allegedly intends to advance a similar bill avoiding the term "genocide" and calling the murder of 1.5 million Armenians in 1915-1923 a "tragedy." In late May, Knesset Speaker Yuli Edelstein postponed a debate and vote on recognizing the Armenian Genocide by the Ottoman Empire, the forerunner of modern Turkey, because a majority of the Knesset would not have voted to support the recognition. In mid-May, the Knesset approved a request by the left-wing Meretz party to hold a Knesset debate and a vote on the issue. Israel partially recognizes the Armenian Genocide: The Knesset Education Committee has recognized it and debated bills on the issue, and the Knesset has been marking the Armenian Genocide every year since 2012.